I hope everyone had a wonderful Thanksgiving with family and friends. My day was perfect with time to enjoy the spirit of the season. Tomorrow starts the real holiday rush. I have a friend celebrating a birthday on Monday. I wanted to share my small gift for her and her card. I used the Haiku paper which is so elegant and classy. The notepad holder will be pretty on a table next to the telephone. 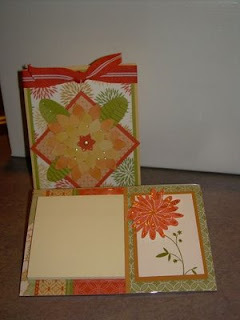 Tomorrow starts the third day of the Stampin'Up Holiday extravaganza sale. You can click on the shopping cart and you will be directed to the SU site where the sale items are listed. Don't be surprised by the prices. The bundles shown are up to 50% off until sold out or when the sale ends on Monday. There are two bundles under twenty-five dollars and three under thirty -five dollars. 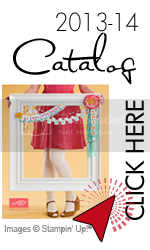 There are nine others with the highest scrapbooking bundle at 60.71.I'm sure there is someone on your shopping list who would enjoy one of bundles.